Now we are really getting into the meat of the Bill of Rights. These are some of the lesser discussed amendments, which makes reviewing them now even more important. The next two amendments address the legal system, which makes them particularly relevant for us here at Van Normal Law. The sixth amendment dictates many of the rights of the accused. These are the rights to a speedy, public trial, an impartial jury, notice of accusation, confrontation, compulsory process, and the assistance of counsel. To clarify, criminal trials must convene and be concluded as quickly as possible. They must be public. Juries must be composed of the accused’s peers and be impartial. The accused has the right to present witnesses, and to cross-examine the witnesses of the prosecution. They are also given the right to free legal representation in the form of a public defender. 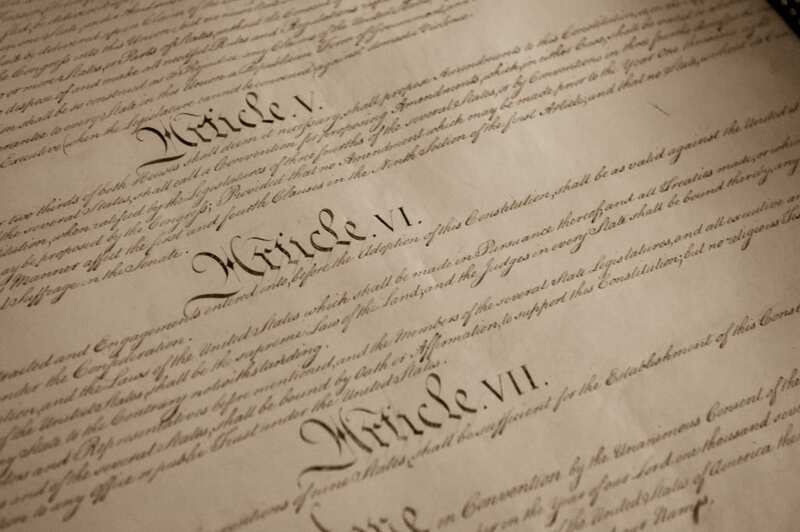 The Seventh Amendment is rarely relevant anymore. It guarantees a citizen’s right to a jury trial for civil cases in federal court when disputes exceed $20. Back then $20 was a massive amount of money. Today, disputes must exceed $75,000 before they can be handled in a federal court.